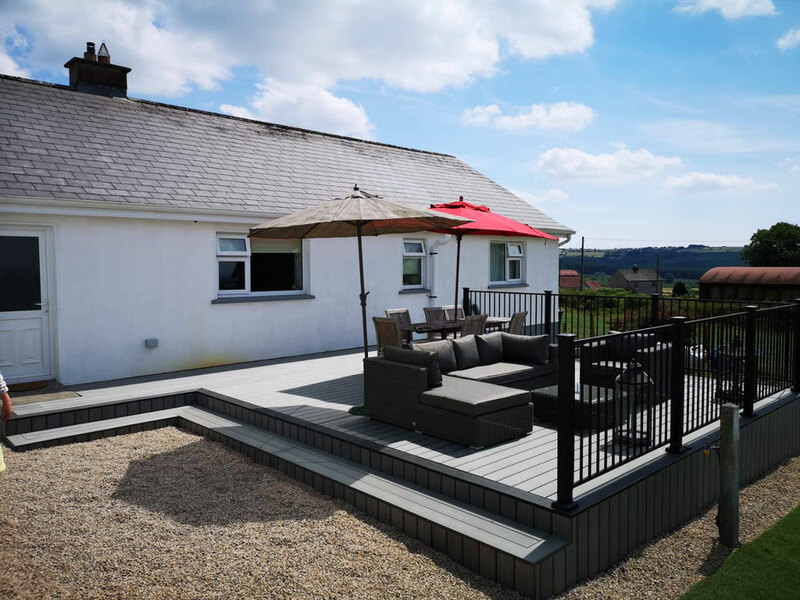 This Decking took one week to complete and the customers couldn't be happier! 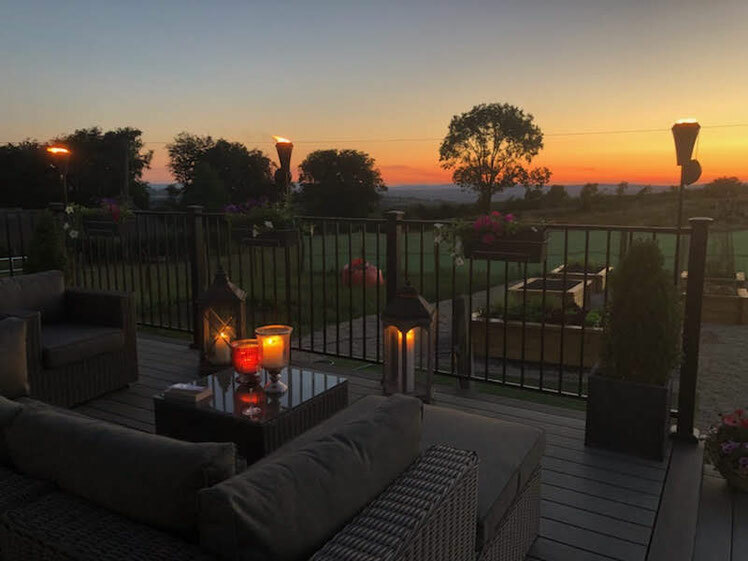 Donald and Margaret were over the moon with the finished product which creates a lovely area to chill out with a glass of wine in the evenings and enjoy the view! Guys, what can I say... You did just such an incredible job, from beginning to end. Your work effort and attention to detail, even when confronted by the last-minute challenges that we presented you with, resulted in an outcome that surpassed all of our expectations. 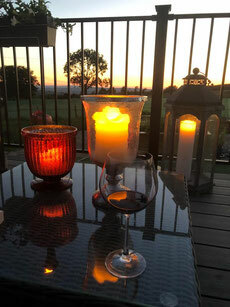 You worked tirelessly throughout our warmest of summers to get the frame just perfect and then the finish with the metal railing just really topped it off. We were able to spend a huge amount of time on what has become almost an additional room to the house, even as recently as Halloween when we set up our party tent on it - it's a true all-season space. Thanks for everything, we can't recommend you highly enough - we'll be in touch to get some other things done.